Designed and constructed with your budget in mind. 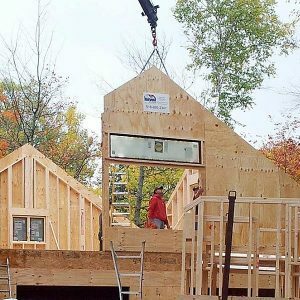 Energy efficient, modern, spacious floorplans and quality materials, coupled with our unique panelized wall and floor systems allow your home to be boom erected on your site in one day, making Harvest Homes an economical choice for today’s custom home buyer and builder. From selecting a floor plan to moving in, Harvest Homes is here to make every step from start to finish stress-free. 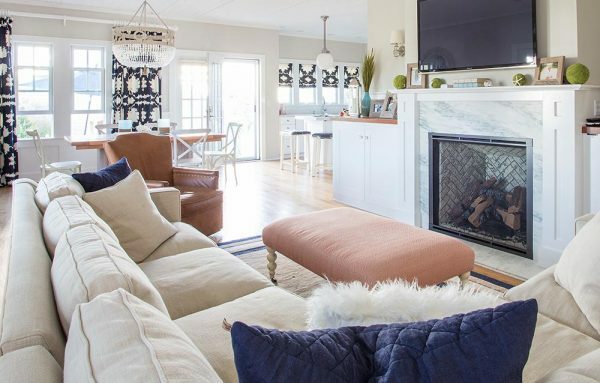 Utilizing Harvest Homes drafting team, the many home designs in our catalog, and implementing any custom requirements, we will work as a team to ensure all your needs are met. You can also provide your own floor plan and we will create an energy efficient custom home using panelization. You receive the benefit of using an Independent Harvest Homes Builder. 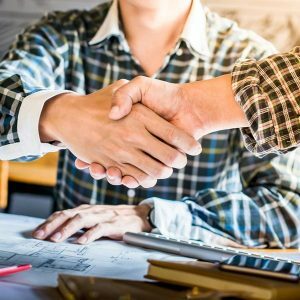 Work with your builder to design your home. 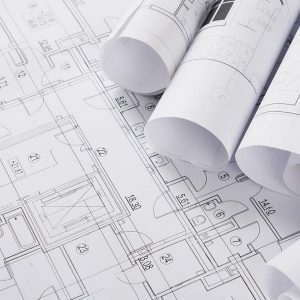 Your builder will provide you with an estimate once the design is complete. Find builders is NY, NJ, PA, MA, NH, RI & VT. While your builder prepares your home site, Harvest Homes builds your custom home at our plant, in the safety of our controlled environment. Next, it’s delivered to your site. This saves you time and money. We bring your home to you! 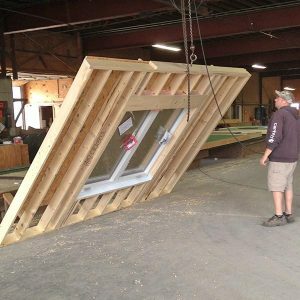 Our crane will place the prefabricated floor and wall panels while your builder’s team helps guide and secure the process. All exterior and interior doors, insulation, and completion of the home is done at the job site by your local builder. Harvest Homes’ unique building system and panelized home kits let you completely customize your home. Remove a wall or add a window, work with our team to make your design uniquely yours. 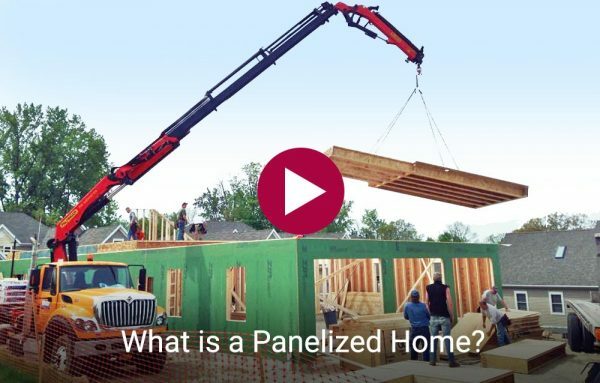 Our custom-built homes combine the best aspects of “stick” frame construction with the efficiency of prefab and panelization from a controlled environment. Panelized homes combine time-tested building methods with modern technology to deliver energy efficient, new homes in your timeframe. Harvest Homes drafting department offers you the great benefit of illustrating your concepts and sketches, drawn in detail for you to see your dream home. Contact Us About Your New Home! Contact Harvest Homes and we can discuss your vision for a new home and give you a Free Estimate. Ask us for a Free Home Planning Kit or Plant Tour to meet with our designers.